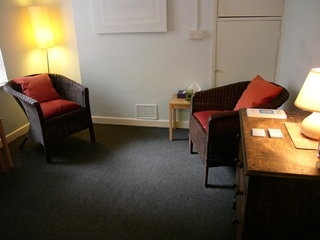 Swan Lane Counselling is based in Winchester, Hampshire. I am a fully qualified, experienced counsellor, BACP Accredited and Registered. My ethos is to provide a caring, professional service within a confidential environment. The well-being of each client is my priority at all times. I believe that support and growth are important for everyone - and at times the right support may best be found outside family or social circles. I hope I can be of assistance to you: please follow the links to find out more. You are also welcome to ring me with any questions you may have. Swan Lane Counselling premises began in Swan Lane, and have now moved to Staple Gardens, just off the top end of Winchester High Street . This is close to Winchester train station; and within easy reach of many Hampshire towns such as Basingstoke, Andover, Portsmouth and Southampton. Car parking is also easily available.